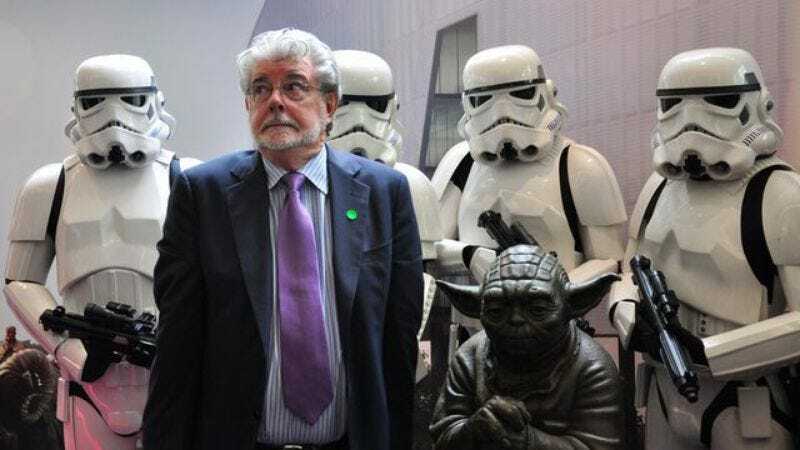 George Lucas now has a new hope (sorry) concerning a location for the Lucas Museum Of Narrative Art he’s been trying to get built for several years now. For a while, it looked like his new project would land on Chicago’s lakefront, but an organization called Friends Of The Parks filed a lawsuit to halt construction on the would-be museum site (currently a parking lot). That bit of obstructionism seems to have worked, as earlier this month Lucas announced that he’d find some other city in which to spend his millions. That other city is looking like it might be San Francisco. If the museum were to be built in the Golden Gate City, it would offer some symmetry to the 72-year-old media mogul‘s life. Lucas was born and raised in the nearby city of Modesto, and it was in San Francisco’s underground filmmaking scene that he built the foundations of his storied career. In fact, it was when he and his first wife Marcia Griffin were living in the Bay Area in the early ‘70s that Lucas wrote the first draft of a Flash Gordon-inspired movie called Star Wars. Later that decade, he began building his film production nirvana Skywalker Ranch about an hour away in Nicasio.